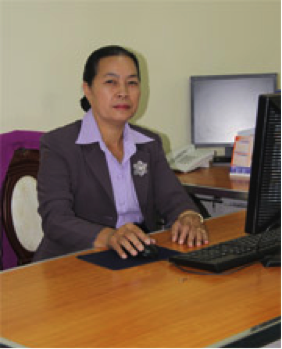 Ket, Managing Director graduated from the respective Hospitality and Tourism School in Europe and S.E Asia, has been in the travel industry and hotel hospitality in Laos since 1990. His decades of expertise gained from managing the previous well-known local tour operator and have been motivated him to setup his own travel and airticketing company in 1999. At the time Visit Asia and its main businesses were focused on airticketing and operated tours for Asian customers. Ket who was one of the marketing campaign activist traveling throughout many major travel-shows in Asia and Europe in order to present his new products and new destinations to travel agencies and travel partners. Today his own company grows rapidly in the region. Ket has travelled extensively through the South East Asia countries and the continent. He enjoys independent travelling by land and river to far remote provinces in order to meet with local people and experience their unique culture. 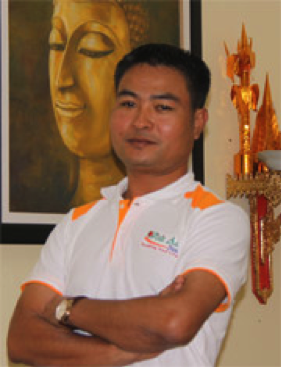 Somchanh, Deputy Managing Director who has fully experiences in dealing with local authorities and gained value of experiences sat as Managing Director for other local tour operator before joining Visit Asia. Somchanh originally was born in the well-known northern Laos province of Xiengkhouang where once was heavily bombed during Indochina War. She experienced how difficulty of evacuation her family from place to places during the war in 1966-1970 before permanent settling in Vientiane. 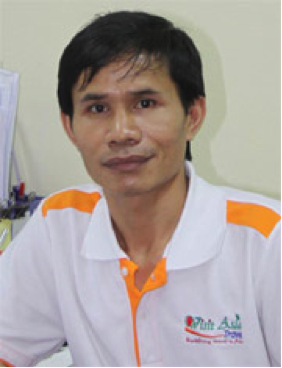 Somchanh formerly employed under the Lao Woman Union as a professional journalist and a writer of the union. She has set her journeys travelling around Asia, Europe and America and ofcourse her discovering has been covered for whole Laos, especially in remote provinces where rarely exploded by ordinary local people. She loves traveling and writing. She notes on her dairy from point to point, from village to villages in the remote provinces. Keo, Product Manager was graduated at the Faculty of Social Sciences, and Information Technology (IT) computer, Major of Sociology from Mahamakut University in Chiang Mai, Thailand and dedicated himself to be a teacher for university. But finally converted himself from his science and pedagogy into tourism industry since he looks toward the country on developing for tourism. Klaus is quiet has wonderful smile amongst entire colleagues, his personal characteristic and with highly patient under the work pressure. He is one of the key employee who help growing the company rapidly, especially the products line, B2B online department that has been assigned. He is very well-trained for IT expert such as website design, software programming and data hardware. Klaus has discovered Laos from North to South and from the East to the West in order to seek for the best value and new update information. At Visit Asia, he does not work just for production lines, but also manage the company technologies and software programming and is the head of Software department which is used the latest version. Jack, Sales Executive Senior was graduated in English Faculties from Chiang Mai, Thailand and returned to his homeland in Laos to serve the tourism needs. While in Thailand he became novice monk for few years. He also learned how the meditation system works, put himself in deep jungle as monk travelers and live in nature way of life. Now he travels throughout Laos to find top quality of products. 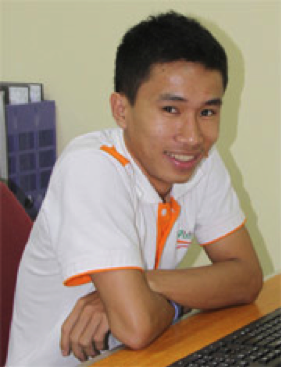 He has joined Visit Asia since 2011 and he becomes one of the most potential employee of company. His aim challenge toward life and active enough to make oversea agents satisfactory. His first role as hotel reservation staff and at the time he gained many experiences the way over agent’s need, especially the best quality services toward clients as well as people living around. Within current month, he has been travelling around Laos, especially overland onto the country loops meeting up with local suppliers and experience varied type of local products. His deep knowledge for Laos makes him very easily to design tailor-made program for his travel partners. Patty Khaiphet, Sales Executive was born in a family of 4 children. Her native Vientiane originally, but seeks for adventurous, after graduated from National university of Laos in 2011 and employs at Visit Asia, she has been travelling throughout countries, researching for tourism at remote provinces for deeper experiences. Her skill is also very well understanding of technologies and software computer. Patty is amongst the youngest generation who love tourism industry. She is working very hard to achieve excellent award from company director and yes, she can always prove her respective working skill toward colleagues and supervisors. She copes the two important posts of Asian Sales Executive and also Vientiane operation department. Patty has very outstanding knowledge and constantly keep herself improving at all time for the deep knowledge of tourism. She understands what the need of Asian customers and she knows what quality of products suit to serve her Asian customers. The Management team: Siem Reap, Cambodia. Kanhchana, Sales Executive was born in central province of Cambodia, graduated from Angkor University Major Business Management in 2011 and while she joins Visit Asia, she also work as part time, but afterward she has fully employed at company, since then she is based in Siem Reap, Cambodia Office and help managing new products, suppliers negotiation and update necessary information to head office. As a key operator in Cambodia, her knowledge of destination is truly sharp and deep in details, she is able to customize your trip nationwide with the accuracy of itineraries from point to points to ensure your need has been set and your journey memorable. Kanhchana experienced with restaurants knowing food and drinks and of course she has customer service minded. Since 2010 start working as a team of Visit Asia. She began with production update, data entry on Cambodia hotels and tourist information and support Sales Team. She likes travelling to original places and meets different people, always smiles and keeps good professional relationships with suppliers and over agents.